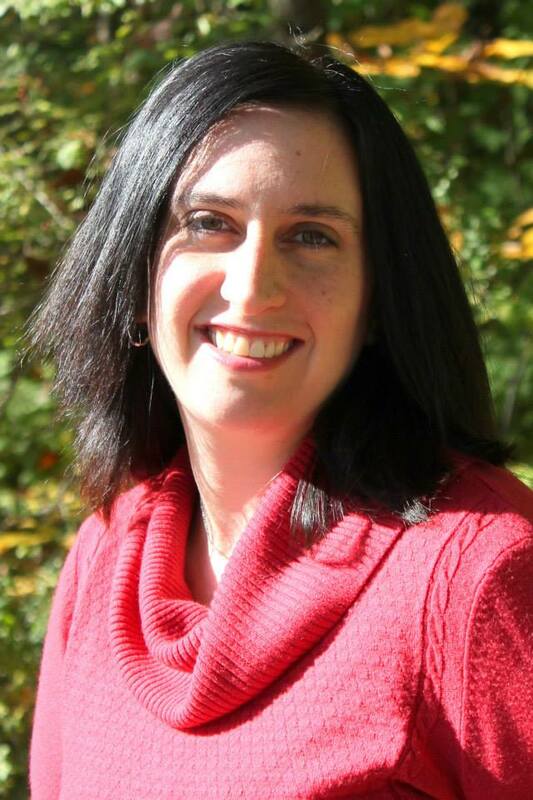 Sweet Sixteener Brooks Benjamin recently spoke to Fearless Fifteener Gail Nall about her MG contemporary debut novel, BREAKING THE ICE (January 13, 2015 from Aladdin/Simon & Schuster). Gail Nall lives in Louisville, Kentucky with her family and more cats than necessary. When she’s not writing books, she manages grants for a homeless shelter and chases her toddler. She once drove a Zamboni, has camped in the snow in June, and almost got trampled in Paris. Gail’s middle grade debut, BREAKING THE ICE, will be out from Aladdin/S&S on January 13, 2015. She is also the co-author of the upcoming YOU’RE INVITED books with Jen Malone (Aladdin/S&S, May 2015 and Spring 2016). Find Gail on her website, Facebook, Twitter, and Goodreads. Kaitlin has always dreamed of being a champion figure skater, and she’s given up a lot to pursue her passion. But after having a totally uncharacteristic and decidedly NOT figure-skating-approved tantrum after getting her scores at a major competition she’s dropped by her coach and prestigious skating club. When no other club in town will have her, she’s forced to join the ridiculed and rundown Fallton Club, jokingly referred to as the Fall Down Club. At first Kaitlin thinks this is a complete disaster, but after meeting some of the other skaters, including a boy (who happens to have the most perfect hair she’s ever seen) Kaitlin thinks it might actually not be so bad. But when she’s tasked with learning a whole new program right before Regionals and figures out that almost all the other skaters target Fallton, she thinks joining the Fall Down Club may just be the second biggest mistake she’s ever made. In this figure skating-themed debut, Kaitlin learns that when you fall down, you have to pick yourself up – even if it’s in front of judges and a crowd. BREAKING THE ICE is available for purchase at Amazon, Powell’s, Books a Million, Barnes & Noble, and Indiebound. Brooks: When and how did you know that you wanted to be a writer? Brooks: Your book uses so much detail about the figure skating world. How much research did you have to do to make sure everything was accurate? Gail: I’ve been skating since I was three years old, so I already knew the mechanics of the jumps and spins, how a skater moves through the levels, the qualifying competitions, etc. I had a working knowledge of the scoring system and how programs are structured, but those are always in flux, so most of my research involved questions of, “What’s a horrible score for a Juvenile-leveled skater at a big competition?” and “What kind of spin scores the most points?” I lucked out with having Regionals held locally in 2013, so I went and sat in the stands and took notes. It was a good move that let me change a few recently-outdated things in the book (for example, I upped Kaitlin’s most difficult jump). Brooks: How did you come up with the idea for your novel? Did you know this was “the one”? Brooks: Do you have any hopes/thoughts/dreams of revisiting Kaitlin and her figure skating journey in a *fingers crossed* sequel? Kaitlin is crossing her fingers and her toes! We’ll see! Brooks: Oddest job you ever had? Gail: I had a graduate assistant position in grad school where I helped a professor compile one volume of a multi-volume encyclopedia of Russian history. I am partially responsible for the citations and editing of a volume that covers the letter B. I knew quite a lot about the Bolsheviks and the ever-fascinating Bashkir Autonomous Soviet Socialist Republic, back in the day. Brooks: Which actor(s) could play the lead(s) in the movie adaptation of your book? Gail: I am horrible at this question. I can never think of the right people. Like, I keep thinking that girl who plays Arya in Game of Thrones would make a good Kaitlin, except Kaitlin is nothing like Arya, personality-wise. But the actress looks right. And all I can think is Joan Cusack for Kaitlin’s mom, but I believe that might have something to do with the movie Ice Princess. As for Braedon…I should probably stop before I say a Jonas brother or something. They’re like fifty now, aren’t they? Brooks: Favorite figure skating move? Gail: Only one?! Okay, so pretty much all skating movies are horribly inaccurate. That said, I adore The Cutting Edge for the banter and the romance, and Ice Princess for the whole regular-girl-becomes-skating-champion dream (and because the tiny redheaded girl is so hilariously perfect – the Jumping Shrimp!). Brooks: If you could drive a Zamboni anywhere, where would you go? Gail: To a drive-thru. I read about someone doing this in upstate New York once, and it made me laugh for about three days straight. I’d love to drive up to Panera Bread and order a Mediterranean Veggie and a cup of broccoli cheddar soup. Of course, it would take an entire day to get to Panera Bread, since I think Zambonis top out at about five miles an hour. Brooks: A band you loved when you were 16 that you still listen to. Oh, this one’s easy. Better Than Ezra. I bought their first album on CD, recorded it onto cassette (with Hole’s Live Through This on the B side – it was 1995, after all), and blasted it loudly and often from the boombox in the passenger seat of my one-rust-spot-away-from-falling-apart ’84 Camaro. (Why a boombox? Because the radio was was just a nest of exposed wires protruding from the dash.) I love all their stuff, but have a soft spot for their third and fourth albums. Just saw them play live again a couple months ago. Those guys don’t age, I swear. 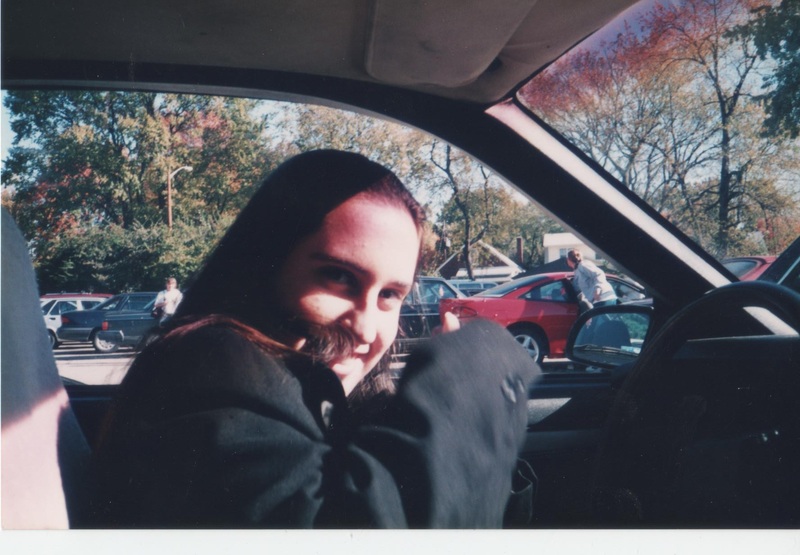 Teenage Gail behind the wheel. Brooks: You find a time machine that will send you back to your 16-year-old self, but you’ve only got 16 seconds before you’re zapped back to the present. What advice do you give yourself? Gail: Be thankful for that education, young lady. Bring lots of band-aids to Europe. And enjoy that cargo pants trend while it lasts. Also, everything you do is going to be put in a book someday. Think about that while you’re doing the Time Warp at one a.m. next to that cute guy in the black leather jacket—you know, the one who may actually be more interested in that other guy over there. In sixth grade, Brooks Benjamin formed a New Kids on the Block tribute dance crew called the New Kidz. He wasn’t that good at dancing back then. But now he’s got a new crew—his wife and their dog. 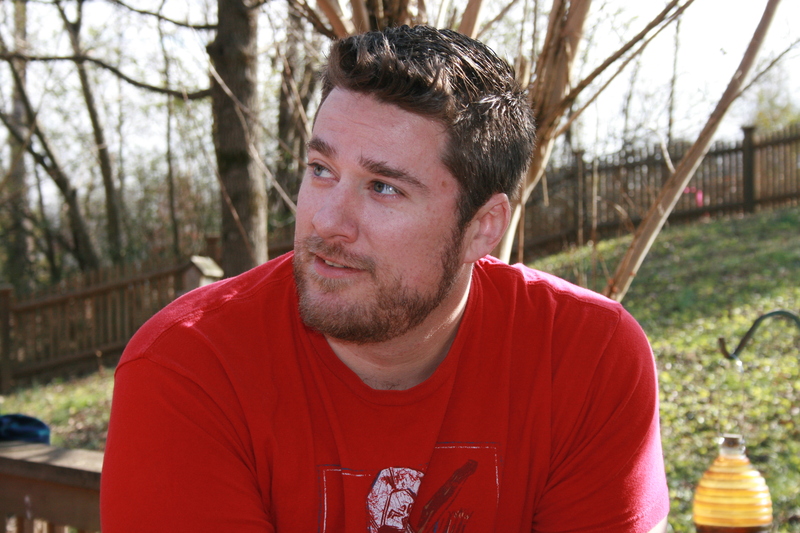 They live in Tennessee, where he teaches reading and writing and occasionally busts out a few dance moves. He’s still not much better at it. In his debut MG contemporary novel, MY SEVENTH GRADE LIFE IN TIGHTS (Spring 2016 from Random House/Delacorte), dance studios are for sell-outs. At least that’s what Dillon’s dance crew keeps saying. But when a chance to compete at the biggest dance academy in the state falls in his lap, he has to decide what’s more important: sticking to his crew’s rules or freestyling his way into solo greatness. 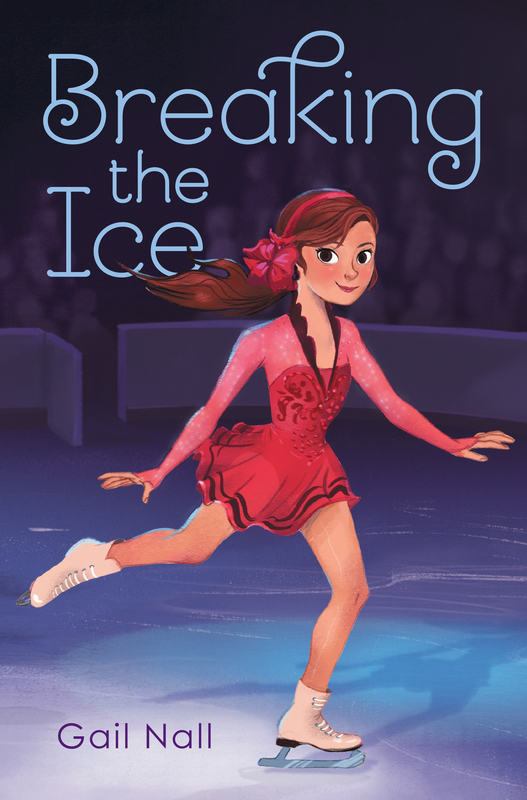 Learn all about the amazing author Gail Nall and her MG novel, BREAKING THE ICE (releasing 1/13)! Congratulations on your debut, Gail! Great interview!